Heerema Marine Contractors (HMC) is pleased to announce an additional contract award related to the Maersk Oil Tyra Redevelopment Project. 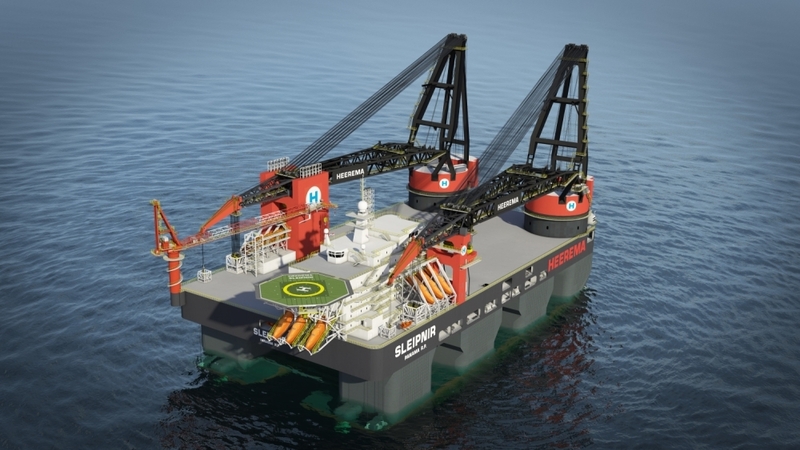 Following the award of the transportation and installation contract for the processing & accommodation platform earlier this year that required the high-end lifting capacity of Sleipnir, Maersk Oil has awarded an additional contract to HMC for extensive offshore lifting services in the Tyra East and West complexes related to the replacement of the wellhead and riser platform topsides. The scope of work comprises the removal, transportation and disposal of topsides, bridges and a jacket with a combined weight of around 17,000 mT. and the subsequent transportation and installation of various new topsides and bridges with a combined maximum weight of around 15,000 mT. The offshore operations are scheduled to be performed in 2020. “The scope of work under this Contract represents a critical phase of the Maersk Oil Tyra Redevelopment project and involves a number of delicate offshore lift operations. We appreciate the trust Maersk Oil has once again placed in HMC by awarding this work to us”, says Chief Commercial Officer Harke Jan Meek.